Written by JungYeon Choe. Edited by Elliot Hu-Au. According to the Center for Disease Control and Prevention, an estimated 1 out of every 68 school-age child has autism spectrum disorder (ASD) (CDC, 2016). In the United States, more than 3.5 million American live with this disorder (Buescher et al, 2014). Developing effective treatments is difficult because there are many variations within ASD. Only limited interventions exist because it takes various resources and significant amounts of funding to construct an effective, individualized treatment. Also, despite the prevalence of ASD, services furnishing the needs related to ASD are very expensive. For example, American households with ASD pay $236-262 billion annually and it costs more than $8,600 a year to educate a child with autism (Buescher et al, 2014; Lavelle et al, 2014). 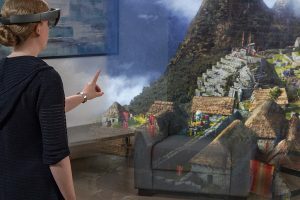 This article explores whether virtual reality and augmented reality are effective tools in helping children with autism improve their troubles with communication, attention, or social interaction. Escobedo, Tentori, Quintana, Favela, & Garcia-Rosas (2014) used an AR application called Mobis (mobile object identification system) to test if autistic students’ sustained and selective attentions increased during therapy. According to the students who participated in the study, they claimed that Mobis was “useful, exciting, and easy to use” (p. 43). Although teachers noted that students experienced some difficulties with using smartphones, students eventually acclimated to the smartphone and had no trouble holding and using the phone. This study demonstrates that AR technology can be used for low functioning autism children and that an AR application caught students’ attentions and made the therapy much more engaging and proactive. Another example is ARVMS or augmented reality-based video modeling with storybooks (Chen, Lee, & Lin, 2015). Video modeling (VM) is a method of teaching that employs video recording and displays to provide a visual model of the targeted behavior or skill (Franzone & Collet-Klingenberg, 2008). Although VM is an evidence-based instructional strategy, there are some weak points for training children with ASD in social skills (Chen et al., 2015). Children with ASD find it difficult to focus and concentrate on complex and long films presented by VM materials (Chen et la., 2015; Elasbbagh et al., 2009; Facoetti, Ruffino, Peru, Pagnoni, & Chelazzi, 2008). In order to gain students’ attention, Chen et al., (2015), use AR technology to decrease their visual stress. AR learning activities have also been shown to positively increase students’ motivations to learn (DiSerio, Ibanez, & Kloos, 2013) and encourage students to maintain their focus (Chen et la., 2015; Escobedo et al., 2014). Lastly, storybooks function as the bridge for demonstrating emotional and nonverbal content of social interaction in images. They can portray everyday life activities and focus on special moments or social cues suitable for children with ASD. The purpose of ARVMS is to teach crucial social abilities that help children with ASD to better understand the facial expressions and emotions of others in social situations (Chen et la., 2015). Chen et al., (2015) found that the student participants found ARVMS to be effective in both learning the six basic facial expressions of others and maintaining focus by triggering learning incentives and encouraging them to observe nonverbal social cues. Lahiri, Bekele, Dohrmann, Warren, and Sarkar (2013) used VR and gaze-sensitive adaptive response technology to see if children with autism could improve social task performance. The purpose of their VR based ASD technology was to get real-time measurement of a child’s looking pattern, their engagement, and to provide individual feedback based on the measurements. 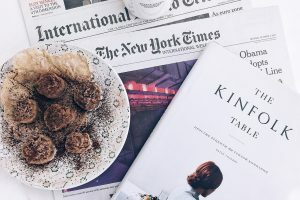 The study concluded that users were able to improve one’s social task performance such as making eye contact while communication or performing socially appropriate manners. However, despite the positive result, the researchers recognized a limitation of the realism of social interactions when in controlled environments. VR and AR have been studied for many years but there is a void in studies done on the effectiveness these technologies have in helping children with autism learn. There are many more studies on VR rather than AR; however, this is not surprising given the relatively recent development of AR. 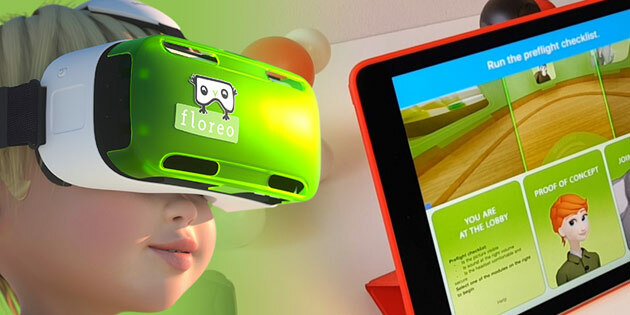 However, since high-end VR generally costs more than AR, and AR is typically more accessible due to the mobility of smartphones, more fruitful research could be pursued in AR applications for students with ASD. At any rate, the recent growth in VR and AR coupled with research-based practices promises new methods of assisting students on the autism spectrum. Baron-Cohen, S., Tager-Flusberg, H., & Lombardo, M. V. (2013). Understanding other minds: perspectives from developmental social neuroscience. Oxford: Oxford University Press. Bricken, M. (1991). 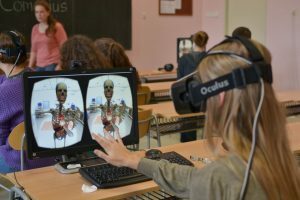 Virtual Reality learning environments: potentials and challenges. Computer Graphics, 25(3), 178-184. CDC. (2016, July 11). Autism Spectrum Disorder (ASD). Centers for Disease Control and Prevention. Retrieved February 01, 2018, from https://www.cdc.gov/ncbddd/autism/data.html. Chen, C., Lee, I., & Lin, L. (2016). Augmented reality-based video-modeling storybook of nonverbal facial cues for children with autism spectrum disorder to improve their perceptions and judgments of facial expressions and emotions. Computers in Human Behavior, 55, 477-485. Di Serio, A., Ibanez, M B., & Kloos, C. D. (2013). Impact of an augmented reality system on students’ motiuvation for visual art course. Computers & Eudcation, 68, 586-596. Elsabbagh, M., Volein, A., Holmboe, K., Tucker, L., Csibra, G., Baron-Cohen, S., Bolton, P., Charman, T., Baird G., Johnson, M.H. (2009). Visual orienting in the early broader autism phenotype: disengagement and facilitation. Journal of Child Psychology and Psychiatry and Allied Disciplines, 50(5), 637-642. Escobedo, L., Tentori, M., Quintana, E., Favela, J., & Garcia-Rosas, D. (2014). 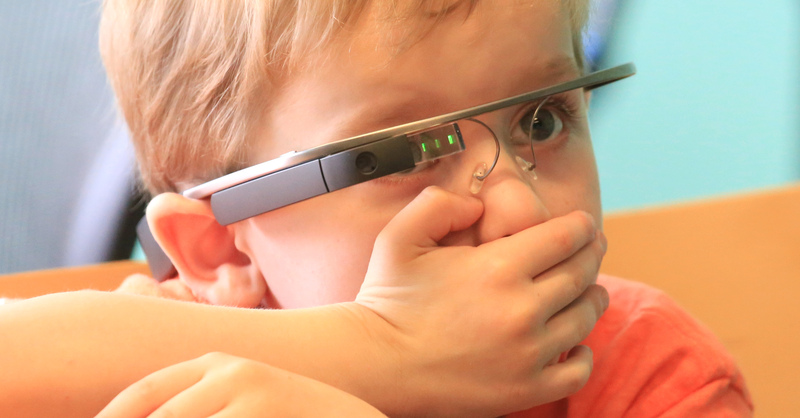 Using augmented reality to help children with Autism stay focused. IEEE Pervasive Computing, 13(1), 38-46. Facoetti, A., Ruffino, M., Peru, A., Paganoni, P., & Chelazzi, L. (2008). Sluggish engagement and disengagement on non-spatial attention in dyslexic children. Cortex, 44(9), 1221-1233. Howlin, P. (2004). Autism: preparing for adulthood. New York: Routledge. Lahiri, U., Bekele, E., Dohrmann E., Warren Z., & Sarkar N. (2013). Design of a virtual reality based adaptive response technology for children with autism. IEEE transitions on neural systems and rehabilitation engineering, 21(1), 55-64. Mahy, C. E., Moses, L. J., & Pfeifer, J. H. (2014). How and where: Theory-of-mind in the brain. Developmental Cognitive Neuroscience, 9, 68-81. Parsons, S., & Mitchell, P. (2002). The potential of virtual reality in social skills training for people with autistic spectrum disorders. Journal of Intellectual Disability Research, 46(5), 430-443. Shaw, J. A., Bryant, L. K., Malle, B. F., Povinelli, D. J., & Pruett, J. R. (2017). The relationship between joint attention and theory of mind in neurotypical adults. Consciousness and Cognition, 51, 268-278. Strickland, D. (1997). Virtual reality for the treatment of autism. Neuro-Psycho-Physiology, 44, 81-86.